Team Hot Wheels™ to Attempt World Record-Breaking Distance Jump at This Year's Indianapolis 500 | Mattel Inc.
EL SEGUNDO, Calif.--(BUSINESS WIRE)-- On Sunday, May 29, IZOD Presents Hot Wheels Fearless at the 500, an attempt by Team Hot Wheels, a newly created crew of stunt drivers, to break the current world record distance jump of 302 feet in a four-wheeled vehicle at the 100th anniversary of the Indianapolis 500 at the Indianapolis Motor Speedway. Fans all around the world will watch in awe as a masked mystery driver from Team Hot Wheels attempts the outrageous -- speeding down a 90 ft. ramp, suspended on an enormous 10-story high door (100 feet tall) and soaring across the infield of the Indianapolis Motor Speedway. The "IZOD Presents Hot Wheels Fearless at the 500" stunt brings to life the iconic Hot Wheels V-Drop track set boys have played with on their bedroom doors for years, and is part of an overarching brand campaign designed to extend the Hot Wheels experience past childhood, capturing the attention of fans of all ages. The Hot Wheels campaign is supported across multiple media platforms with digital media and television ads, on product packaging, social media activations and premiere partnerships. The "IZOD Presents Hot Wheels Fearless at the 500" jump will be attempted by the Yellow Driver from Team Hot Wheels — a real-life group of mystery, over-the-top professional stunt drivers spanning four vehicle disciplines — rally (green), drift (blue), off road truck (yellow) and freestyle motocross (FMX - red). Consumers can engage with larger-than-life Team Hot Wheels branded content online at www.hotwheels.com/videos, and become a fan on www.facebook.com/hotwheels to catch exclusive behind-the-scenes training and stunt videos. The "IZOD Presents Hot Wheels Fearless at the 500" stunt will culminate by revealing the mystery driver's true identity to the world in a not-to-be missed moment following the race on Sunday, May 29. A 30- minute documentary- style special is in the works to air on race day. IZOD: As presenting partner, IZOD is supporting the Hot Wheels Fearless at the 500, with a 360-degree marketing campaign spanning print, outdoor and online featuring the historic record attempt. IZOD IndyCar Series/IMS: Setting the world stage for this monumental stunt, Hot Wheels is partnering with the IZOD IndyCar Series and the Indianapolis Motor Speedway to bring racing fans an entirely new and thrilling vehicle experience at "The Most Important Race in History" — the 2011 Indianapolis 500. Get Glue: To make sure stunt enthusiasts and fans get the maximum interactive experience while watching "IZOD Presents Hot Wheels Fearless at the 500" - Hot Wheels is partnering with GetGlue. A leading social network tool for entertainment, GetGlue allows users to check into TV events and shows, movies, music and books, plus see what their friends are consuming in real-time. 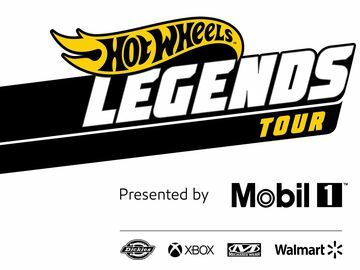 Facebook, Twitter and YouTube: Fans can interact with Team Hot Wheels through their favorite social media channels including: facebook, Twitter and YouTube. Hot Wheels V Drop Track Set: A Hot Wheels classic and now a Toys"R"Us KidPicks exclusive, the V-Drop™ super velocity track is a tall gravity set that hangs over the top of a door creating a thrilling almost vertical Hot Wheels® drop. The track set's impressive seven-foot drop and adjustable ramp pushes Hot Wheels® cars to extreme speeds launching them through the air allowing boys to create their own jump stunt. Hot Wheels For Real™: From March 8 to April 30 Hot Wheels fans can go to www.hotwheels.com/forreal for a chance to win a VIP trip to the Indianapolis 500 or thousands of other cool prizes. 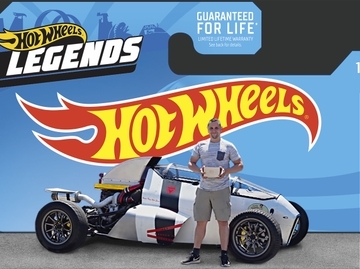 With special codes found on select Hot Wheels packaging, fans can not only enter to win a trip to Indy but also unlock 17 live-action videos featuring heart-pounding Team Hot Wheels stunts. Codes to unlock exclusive content will be available on packaging and online. Since 1968, Hot Wheels® has been passionate about creating thrilling vehicle experiences through innovative product and content. With a fan base of more than 41 million people, Hot Wheels is the No. 1 vehicle property in the United States producing the coolest cars imaginable. The Hot Wheels brand began as a line of 16 1:64-scale die-cast vehicles; today, it has evolved into a true, global lifestyle brand for boys of all ages with segments that range from aftermarket parts to licensed apparel to branded digital content from Team Hot Wheels, a real-life race crew of professional drivers performing over-the-top stunts. For consumers to learn more, visit www.HotWheels.com and www.Facebook.com/HotWheels.